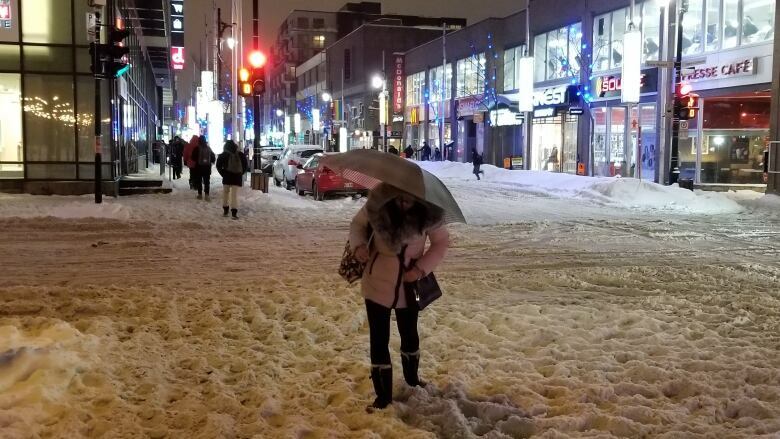 Heavy snow, strong winds and, now, freezing rain are all adding up to a difficult commute home across the greater Montreal region. Transports Québec says its snow removal operations are in full gear on provincial roads and highways, and it has canceled all roadwork and closures for the evening to avoid further impeding motorists. "There are slowdowns across the board, and it's not necessarily going to improve with the weather system moving in," said CBC Montreal traffic specialist Jeremy Zafran. By 6:30 p.m., the snow had already turned into freezing rain at Trudeau Airport. 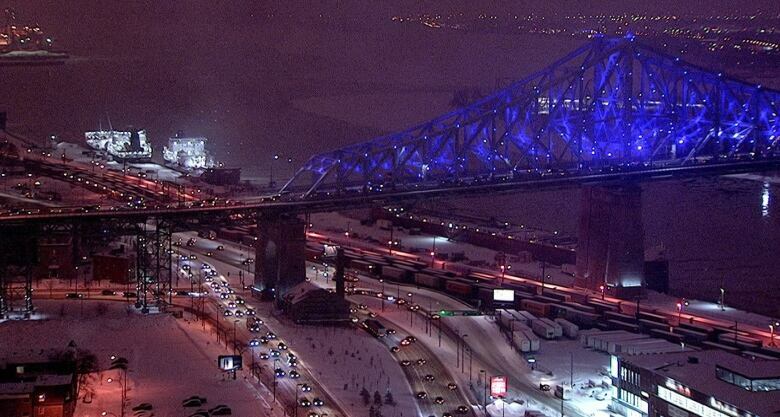 An Environment Canada weather alert warns of ice buildup on roads and surfaces across southern and eastern Quebec. The agency says freezing rain could last until Thursday evening. "Surfaces such as highways, roads, walkways and parking lots may become icy and slippery," it said in its warning. Transports Québec is reminding drivers to go slow and keep a safe distance between their vehicle and the one in front of them.